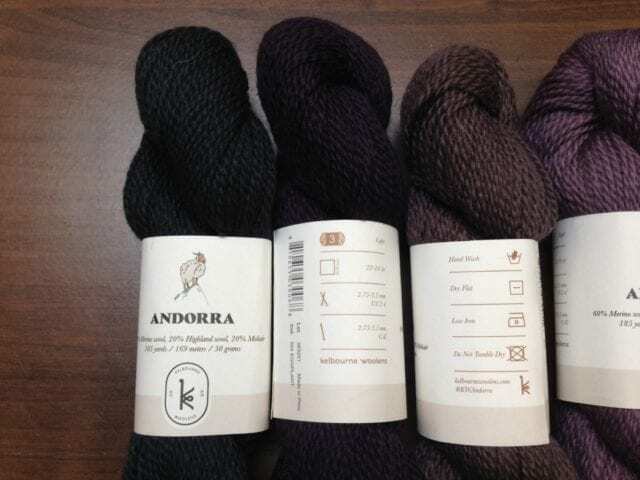 Meet our first new yarn of the year, Kelbourne Woolens Andorra. You may recognize the name Kelbourne Woolens – they’re the North American distributors for Fibre Company, and they also design some of the most popular pattern collections for those yarns. 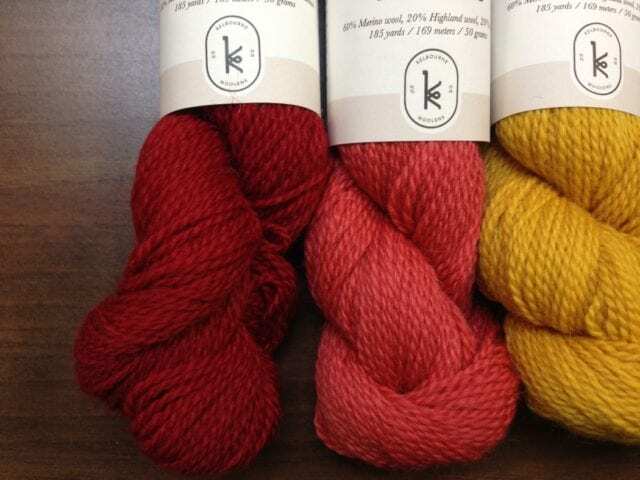 Kate Gagnon Osborn and Courtney Kelley are the minds behind Kelbourne Woolens, and while they will continue their good work for Fibre Company, they’ve also cooked up something new to mark the 10th anniversary of their business: their very own line of yarn. 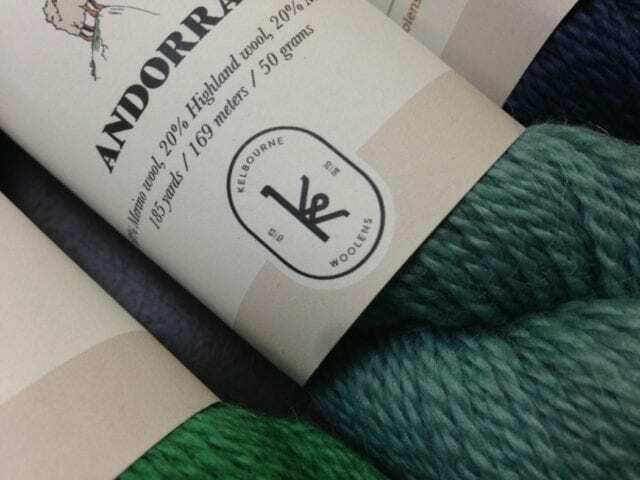 Andorra is the first yarn under their own Kelbourne Woolens imprint, a bouncy sport weight blend of merino and highland wool with a dash of mohair. It’s a wooly, lustrous 2-ply with a medium twist, not too tight or loose, and especially after knitting, it looks pleasantly fuzzy. 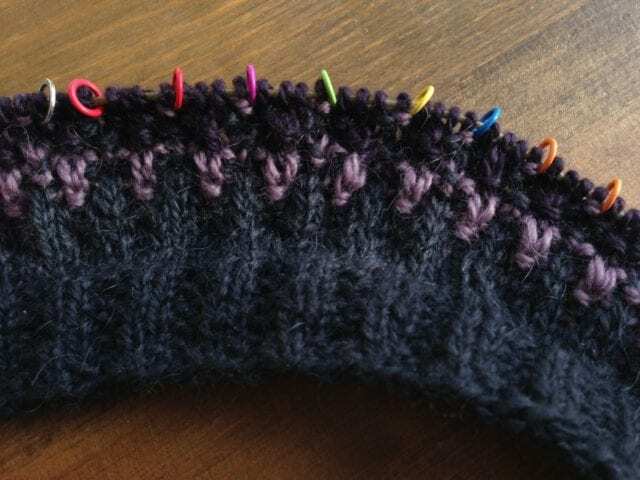 Anne got a sweater’s worth of Andorra in advance, for sample knitting, and has started a top-down, Bohus-style pullover from the new Kelbourne Woolens collection. More on that soon – til then, here’s a preview, Anne’s first few rows. Look for Andorra in the sport weight section here at the shop!